Listen to the groans of the prisoners; by the strength of Your arm, deliver those doomed to die. Then we, Your people, the flock of Your pasture, will thank You forever. We will recount Your praise from generation to generation. Dear brothers and sisters in Christ, today is the second Sunday of the season of Lent. We celebrate today the time and season for preparation for us to prepare for the celebration of the most important mysteries and parts of our faith, that is the death and resurrection of our Lord Jesus Christ. And today we are also presented with the catechesis or teaching, meant to showcase the love which our Lord had shown us in various ways, but foremost of all, through the giving of His Son, Jesus Christ. There are many meanings and symbols attached to the readings we have heard on this day, and all of it are centred on two main messages which the Church desires all of us to bring home this day and reflect upon them to enrich our own faith life and help us to grow stronger in faith. The first of them is that the love and faith our Lord showed us is so sincere and genuine, that it is unconditional and so devoted it was that He did not spare even His own Son for our sake and for our salvation. The second of which is that in Jesus lies our salvation and the fulfillment of God’s promise of salvation, and that there will be difficulty if we follow the path of Christ, but if we do so, then we will share in His glory and in the revealing of our true selves just as Christ had been revealed to the world. In the first reading today, from the Book of Genesis, we heard how God asked Abraham, our father in faith, the father of Israel and many nations, to sacrifice his own beloved son, Isaac, the heir and son whom God had promised him. Imagine what Abraham would have thought when he heard of such a request from the Lord, to give up his own son and heir, whom he had awaited for such a long time, and yet then God seemingly just wanted to take him away. Abraham was a very wealthy man, with many possessions, animals and large number of servants and land, and he was also faithful and righteous, picked by God from among the nations, to be the one with whom God made His covenant with. And God promised Abraham that he would become a great nation and his descendants would be innumerable, as many as the stars in the sky and the grains of sand on the seashore. Yet, God wanted to take the only son whom Abraham had, and wanted him to be given as a sacrificial victim. And yet, Abraham obeyed and listened to God. He did not complain or protest against the Lord and what He had asked. Instead, he brought his son to the mountain where he was supposed to sacrifice his own son, and when his son asked him, where the sacrifice was, Abraham told his son that ‘God would provide’. Abraham knew in his heart that God would be faithful to His covenant, and as St. Paul mentioned in one of his letters, Abraham knew that God would not take away the son He had promised him, and that there would be a way, one or another, to come out from that predicament. As difficult it was and as great a dilemma it was for Abraham, he did not hesitate to listen to the Lord, be faithful to Him, even to the point of being ready to cut the life out of his own son. He was ready with the knife when God stopped him, and told him that He had seen how great and genuine his faith was. Abraham’s faith and love for God is unconditional and genuine, desiring no returns, or else, he would not have walked up that mountain to sacrifice his own son to God. The same therefore applies to how our Lord and God loves us all. His love is genuine, and He loves us all with all of His heart. He lamented greatly our waywardness and the loss of us all to the darkness, that is the darkness of this world. He certainly does not desire us to be lost, and therefore, for His great faithfulness and love, He did not spare even His only Son, the Divine Word which became Flesh, to be born as Man, and to die for our sake, as reparation for our sins. This is a parallel to what had happened between Abraham and Isaac, his son. Just as Abraham was faithful to the Lord, the Lord Himself is faithful to His promises to all of us, that He will save all of us from the darkness and suffering of sin. Even if we deny Him and rebel against Him, He cannot deny Himself and His love for us. And that is essentially the essence of this season of Lent, the season of forgiveness. God gives us the chance to repent and change our ways, by believing in Jesus, His Son and by listening to what He had taught us. And from there we come to the second of the meanings of this day’s readings. It is about what had happened that day at the Mount Tabor, where Jesus revealed the truth about Himself to the three of His disciples, Peter, James and John. He revealed the fullness of His glory on top of that mountain, an event known as the Transfiguration. Jesus was revealed in all of His glory as the Almighty God and Lord of all. Another significance of this event can be seen from what happened next. Jesus spoke with two of the greatest figures of the Old Testament, namely Moses and Elijah. Moses was the leader of the people of Israel who led them out of Egypt where they lived in slavery and great suffering, and who have received the Law of God from the Lord Himself, and taught the Law to the people. Meanwhile, Elijah was a great prophet and servant of God who struggled against the wicked kings of Israel and who laboured hard to bring the people of God back to the path of righteousness. Moses therefore represented the Law, while Elijah represented the Prophets. And the significance of their appearance to Jesus is that, Jesus is the embodiment and fulfillment of the Law and the Prophets. The Law of God is the proof of God’s love for us, a set of guidelines meant to show us how to be truly devoted and faithful servants and children of our Lord, and therefore it is meant to help us to keep our paths straight, walking in the path of the Lord alone. 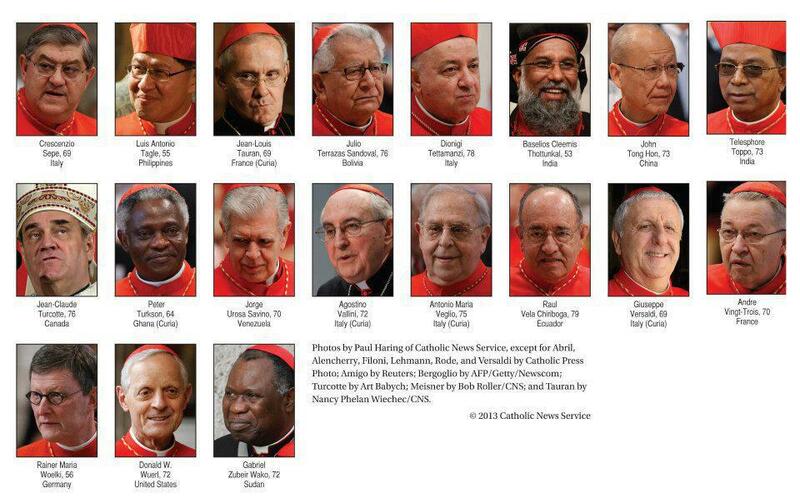 How about the prophets? They are the faithful servants and messengers which God had sent to His people in order to remind them and to bring them back to the right path whenever they have erred in their lives. They spoke of God’s truth and explain again the meaning of the Law to the people, who were often stubborn and rebellious in their ways. Jesus fulfilled the entirety of the Law and the prophecies of the prophets completely and perfectly. He made the Law of God understandable to all the people, showing its true meaning and intent that is love. He taught the people and through His disciples, He revealed the fullness of God’s intentions and love for mankind. By the perfect fulfillment of the Law and the words of the prophets, He had made salvation and hope previously not available to us, to become available. For Christ our Lord is the bridge which bridge the great span and rift that existed between us and God, for our sins and rebelliousness which had separated us from God’s grace and love. And by His glorious Transfiguration on the mount, which we heard from the Gospel today, He revealed to us our future, the fate which will be ours if we obey the Lord, His Law and walk righteously in His ways. Yes, it has been promised to all those who keep their faith, that they shall be glorified in body, heart, mind and soul. Thus, the Transfiguration is a premonition and reminder of our own transfiguration, the glorification of the faithful. But it will not be automatic, and neither will it be an easy path for us to take. There will be opposition and challenges, and we all have to be ready for all of them. 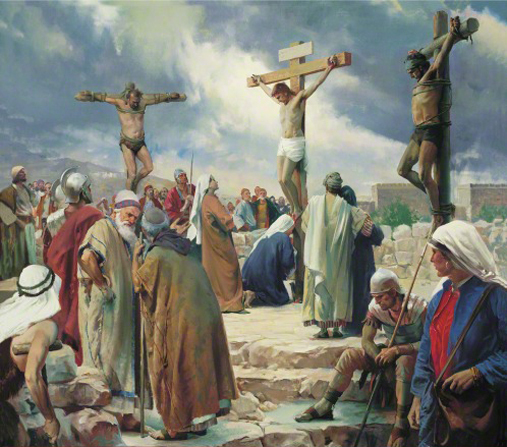 Brothers and sisters in Christ, lastly, as Jesus went down from the mountain, and from there on to His suffering and death in Jerusalem, therefore all of us are reminded again that life is not all easy and there will be times when we have to suffer or even risk our lives for the sake of our faith in God. Peter and the other two Apostles were certainly awed by what they have seen when they saw Jesus transfigured in glory before them. Peter therefore told Jesus that they wanted to build three tents for Him, Moses and Elijah because they felt such great happiness and joy being in the glory of God and seeing Man glorified because of faith. Jesus reminded them, that in order to reach there, they had to first go through difficulties, challenges and suffering, and that was why, they did not remain on the mountain forever, but they went down, and the Lord went forth to face His Passion and death in Jerusalem. What does all of these mean for us, brothers and sisters? It means that all of us should use this Lenten season to the best of our abilities, to repent from our sins and seek God’s forgiveness. We have to bear our crosses, just as the Lord went on to carry His cross to Calvary. We have to have that clear goal, that is our transfiguration from the creatures of sin and darkness, into the creatures of the light. Until then, we have to work hard and resist the temptations of sin, and strive to walk always in the way of the Lord. May Almighty God be with us all in this holy season of Lent, and help us to make use of this season to change our sinful ways into the way of righteousness that in the end, God will find us worthy and we will receive the full reward which He had promised to those who keep their faith in Him. He is ever faithful to us, just as Abraham had been faithful himself by not even holding back giving his own son, and more so for our Lord who did not spare even Jesus, His own Son, for our salvation. God bless us all. Amen. At that time, Jesus took with Him Peter and James and John, and led them up a high mountain. There His appearance was changed before their eyes. Even His clothes shone, becoming as white as no bleach of this world could make them. Elijah and Moses appeared to them, the two were talking with Jesus. Then Peter spoke and said to Jesus, “Master, it is good that we are here; let us make three tents, one for You, one for Moses and one for Elijah.” For he did not know what to say : they were overcome with awe. But a cloud formed, covering them in a shadow, and from the cloud came a voice, “This is My Son, the Beloved; listen to Him.” And suddenly, as they looked around they no longer saw anyone except Jesus with them. Who will dare to condemn them? Christ who died, and better still, rose and is seated at the right hand of God, interceding for us? I have kept faith even when I said, “I am greatly afflicted.” It is painful to the Lord to see the death of His faithful. “Do not lay your hand on the boy; do not harm him, for now I know that you fear God, and you have not held back from Me your only son.” Abraham looked around and saw behind him a ram caught by its horns in a bush. He offered it as a burnt offering in place of his son.